Stylish and built to last, the GROHE Eurosmart basin tap is a versatile bathroom tap you can trust. It has a medium high spout and an elegant smooth body with no waste. Its cutting edge ceramic cartridge allows you to control water temperature and flow with smooth precision. The scratch resistant GROHE StarLight chrome coating is easy to clean and has a sparkle that will last for years. And with GROHE EcoJoy technology, water usage is cut by 50 per cent without a drop in performance. 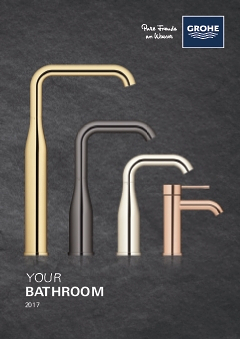 GROHE Eurosmart – blending timeless style and performance for the pure enjoyment of water!